Rosenfeld Injury Lawyers LLC represents people with railroad site injuries suffered in accidents such as job-related collisions, work-related accidents and other types of professional negligence. Our law firm has collected a series of railroad worker accident FAQs related to the medical and legal aspects of an accident involving FELA benefits rules and regulations. Should you have additional questions, we invite you to contact our office for a free review of your legal rights. The Federal Employers' Liability Act (FELA) is a Federal law passed by Congress that protects railroad workers suffering on-the-job injuries. The federal act identifies the railroad's legal responsibility to provide every worker a safe environment even at locations that are not railroad property. Injured victims must prove that the railroad was negligent in failing to use reasonable care to create and maintain a safe workplace to ensure they receive financial compensation. Injured railroad workers are entitled to file compensation claims to recover full wage losses, future earnings, pain and suffering. FELA laws provide railroad workers more protection compared to other occupations in America. However, it is important that every injured victim understand their rights to ensure they receive all available benefits. 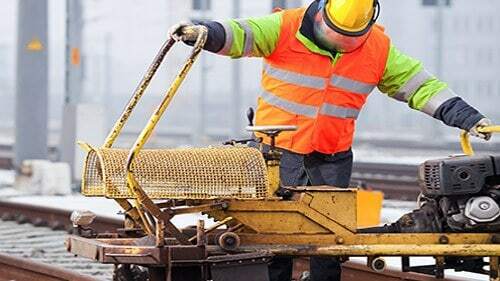 The railroad worker accident attorneys at Rosenfeld Injury Lawyers (888-424-5757) represent victims and surviving family members and seek compensation through compensatory civil cases and wrongful death lawsuits. Our legal team has assembled a comprehensive list of railroad worker FELA accident frequently asked questions and posted the answers below. Is FELA a Part of the Worker's Compensation Benefit Program? An injured worker for the railroad system must file a claim through the Federal Employer's Liability Act (FELA), not Workers Comp., and prove that the railroad was responsible for their injuries because of negligence. The legal action of filing and resolving a claim under FELA is different than Worker's Compensation laws where injured workers are not required to establish fault by their employer. Claimants hoping to resolve their case under FELA are required to show that some negligent action by the railroad directly caused their injuries. FELA is significantly different than Worker's Compensation that is a more arbitrary, fixed benefit program that usually under-compensates injured employees. Alternatively, FELA provides comprehensive monetary recovery for every damage the injured railroad worker endured including benefits, lost wages, medical expenses, and payment for non-tangible damages including loss of enjoyment of life, pain, suffering and mental anguish. How do I Receive Benefits for Railroad Worker-Associated Injury? First, it is crucial to report the injury to your immediate supervisor, or their supervisor, and ensure that the accident report is filled out completely under the requirements of your union agreement. Can I be Fired for Filing an Injury Report or Hiring an Attorney? By federal law, the railroad system cannot fire, intimidate or harass you if you report your injury. The regulation states exactly that “harassment or intimidation of any person that is calculated to discourage or prevent such person from receiving proper medical treatment or from reporting an accident, incident, injury, or illness will not be permitted or tolerated and will result in disciplinary action against such person committing the harassment or intimidation.” In fact, hiring an attorney is the surest way to ensure you are not intimidated or harassed because your lawyer will protect you through the entire process of receiving the benefit you deserve and maintaining your job. What are my Rights to File a Claim Under Fela? Am I Required to Make Additional Statements Other Than Filing a Report? No. Under FELA law there are no requirements to make additional statements. That said, it is crucial to consult with a reputable FELA attorney who specializes in railroad accident cases and your union representative to ensure you handle your case as required by law. Do I Need to See the Doctor That's Recommended by the Railroad? No. You can receive medical care from any doctor you choose. The railroad has no legal authority to recommend, suggest or require that you seek medical attention from a doctor on their list or any list. Is a True That my Doctor Must Share my Medical Information With the Railroad? No, unlike the Worker's Compensation Benefit Program, your doctors are not required by law to share your medical information with your employer. Ask your attorney to provide a sample letter to show your doctor the law. The document provides a comprehensive explanation of what is and is not required when they provide your care. Can I Postpone Filing a FELA Claim for Compensation? Not really. There is a statute of limitations of three years to file a lawsuit or settle a compensation claim. That said, there are significant complexities to the federal statute of limitations that can only be deciphered by a competent personal injury attorney who specializes in railroad law. The quicker you file, the sooner you will receive financial compensation. Filing earlier can help preserve evidence including eyewitness accounts and equipment and material found at the scene of the accident. My Boss Still Pays me Even Though I am Unable to Work. Why do I Need to Sue? While you may be getting paid during your recovery process to ensure that you can return to work after your job-related injury has healed, you likely are facing extensive medical bills and other costs associated with your accident. You may require assistance around the house during your recovery, or your spouse might have taken time off from their job to provide your care. You may need assistance with childcare. You certainly will need medical assistance in the future. Consider all the ‘not so obvious' effects of your injury including long-term care, disfigurement, scarring, personal disability or diminished quality of life caused by your pain and suffering. What are Common Railroad Worker Injuries Involving a FELA Report? Many railroad accident injuries are the result of working in unsafe conditions, failure to follow regulatory compliance and failing safety inspections involving hazardous materials, railway track maintenance, signal and train controls, equipment safety, operating practices, training, and failing to follow railway safety. What About an Occupational Illness, Repetitive Stress Injury or Cumulative Trauma? FELA law does provide injury benefits for numerous injuries including repetitive stress, cumulative trauma, or occupational-related illness. However, the three-year statute of limitation still regulates the length of time you must file a claim for compensation. Because of that, it is crucial to discuss your case with a personal injury lawyer to ensure you still have a valid claim. If my Boss' Insurance Company Offered a Settlement and it is Not Enough, What do I do? If you believe that the settlement is not sufficient enough to cover your bills, or you are just not sure, it is essential to speak with a personal injury attorney who specializes in railroad FELA worker-injury cases. We recommend that you never sign anything or agree to a settlement if you feel uncomfortable about what is being offered. Once you signed a document, accept the check, or deposit their check you have signed away your rights to file for additional benefits under the Federal Employer's Liability Act. Instead, contact the FELA Worker Injury Attorneys at Rosenfeld Injury Lawyers. Let our legal team determined the value of the case and present legal options on how best to proceed. It is not Obvious Who's at Fault for my Injuries. Can I Still File a Claim? Under FELA, the law provides provisions referred to as “contributory negligence.” This rule stipulates that the railroad remains legally liable even if they are at fault for only a small percentage of your injuries. That said, if the court determines that the railroad is 50% responsible for your injuries and you are 50% responsible, the jury award will be divided accordingly. You could conclude that if the jury awarded you $100,000 for your injuries and you were 50% responsible you would receive $50,000 instead of $100,000 that would have been paid by the railroad. Why Does my Attorney Want to Investigate a Case That was Already Investigated? As your legal representative, your attorney will perform all interactions with the railroad company and their insurance carrier. Even though the insurance company likely investigated the accident, our law firm will conduct an in-house investigation to determine exactly how the event happened to identify all parties that might be at fault for your injuries. With a comprehensive understanding of what happened, our legal team will have additional information to build a compelling case to prove why you deserve every available benefit. At some point, the insurance carrier for the railroad company will offer a settlement to resolve your case. When this occurs, we will provide the advice you need to make an informed decision to accept the negotiated settlement or take your case to trial. How do You Build a Case for Compensation? My Loved One Died in the Railroad Accident. Can I File a Claim? How Much can I Expect to Receive for a FELA Compensation Claim? The amount of your compensatory damages is determined by the extent of your injuries and other factors that include your ongoing medical expenses, hospitalization costs, and past, current, and future lost wages. Our law firm will also seek compensation for your decreased earning ability to work in the future. A compensation claim will also pay past, ongoing and future pain, suffering, mental anguish, and emotional stress. How Much do You Charge to Review FELA Compensation Cases? The railroad accident injury attorneys at Rosenfeld Injury Lawyers (888-424-5757) provide every potential client a no-obligation, initial case evaluation at no charge. During the consultation appointment, our legal team will discuss your case with you, review the evidence, and provide various legal options to ensure your family is adequately compensated for your injuries. I Have no Money to Pay for a Fela Lawsuit? How can I Hire an Attorney? If you believe that your injuries are the result of negligence by the railroad company, you are entitled to file a claim for compensation. Our law firm prosecutes railroad worker accident cases. Our law firm accepts all personal injury cases, wrongful death lawsuits, and Railroad accident injury claim for compensation through contingency fee agreements. This arrangement will postpone payment of all legal services until after we have successfully resolved your case. Also, we offer a “No Win/No-Fee” guarantee, meaning if we are unable to secure monetary compensation on your behalf, you owe us nothing. 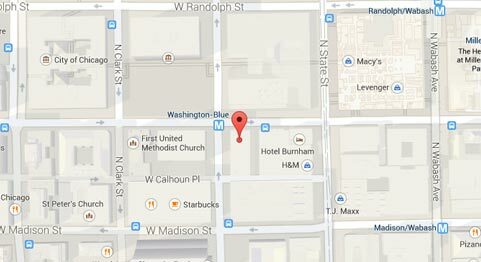 How can Rosenfeld Injury Lawyers LLC Help me in my FELA Case? How Much Have Other Plaintiffs Recovered in FELA Cases? How Much Time do I Have to File a FELA Case? What are the Facts on FELA Cases? What are the Most Common FELA Injuries? What can I Recover for in a FELA Case? What is a FELA Case? How does FELA law protect railroad workers? What are some examples of cases covered under FELA? How long do I have to file a FELA lawsuit? What are some examples of injuries sustained by railroad workers? How much are FELA cases worth?